There are many inspirational and informative products associated with an LCHF eating style. 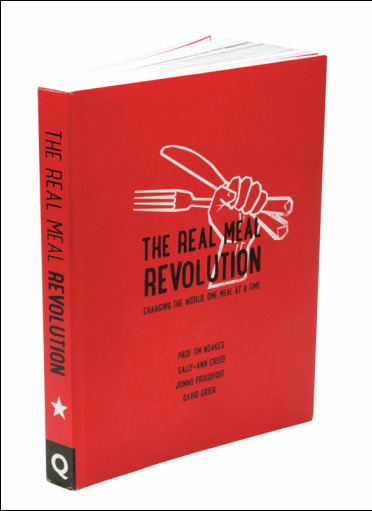 Not all follow LCHF 100% with some great books focusing more on the equally important aspect of re-discovering natural food and cooking it in your own kitchen. Why? First and foremost because you know what goes into it... no additives, food colourings, preservatives for a longer shelf life etc. Second; because it allows you to set your food priorities, such as reducing the quantity of meat you use but using beef from healthy, grass fed cattle combined with you and your family's favourite vegetables. This is not an exhaustive list; just a list of some of the books which have most impressed this cook and writer. "Dr. Shanahan values eating real food, reducing sugar consumption, skipping the high omega-6 vegetable oils, controlling total carbohydrates which turn to sugar in the body, knowing that veggies are a better choice than fruit, zeroing in on raw and grass-fed sources of dairy and meats, and so much more! She even offers up ways to cook your food in the same manner of generations past. 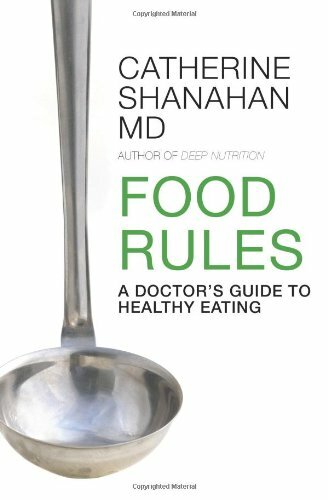 My favorite part of the book is when Dr. Shanahan explains HOW to eat with helpful advice that you wouldn't typically get from a physician. But the real payoff of FOOD RULES is knowing what all of these changes in your diet are doing to your health--in a GOOD way!" In this thought-provoking guide to traditional foods written in the late 90's, Sally Fallon and Mary Enig explain that animal fats and cholesterol are not villains but vital factors in the diet, necessary for normal growth, proper function of the brain and nervous system, protection from disease and keeping up energy levels. They dispel the myths associated with low fat foods and explain why your body needs old fashioned animal fats; why butter is a health food; how high-cholesterol diets promote good health and much more (with many recipes). The Atkins diet became the famous low carb diet and still provides a great entry-point. 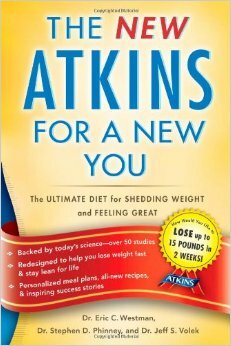 Today's low-carb diet books focus more on health and paleo links but to get you started, nothing beats Atkins in its revised form. The diet menu is... protein rich foods, leafy greens and other vegetables, nuts, fruits, and some whole grains. The book takes you through the all important 'ketogenic' phase and helps you as you work through this strict starting point towards significant weight loss. The key difference to other diets though is that you're never left hungry; there are no calorie restrictions. A great video intro to this phase is also available by the main author, Dr Eric Westman on YouTube where he takes a group of people through this initial stage. For a hip alternative approach, try Tim Ferriss. It's not everyone's cuppa but for an upbeat American approach to dieting, it's fun, provocative and informative. Known for his series of 4 hour books ( The 4-Hour Workweek, The 4-Hour Body, and The 4-Hour Chef) he uses self-experimentation to make his case for improvements in weight (the slow-carb diet) and physique. Doctors Volek and Phinney share over 50 years of clinical experience using low carbohydrate diets. ​They have published more than 200 research papers on this topic. - sugars and refined starches being not needed for your brain or to fuel exercise. - hunter-gathers' diets; clues on how to best formulate a low carb diet. The Low-Carb Gourmet features uncomplicated recipes that are a pleasure to serve. If you are on, or contemplating, a low-carb diet, this book gives you everything you need to make this kind of eating a way of life: tips on low-carb living, cooking, shopping, inspiration for entertaining and family meals; plus over 80, easy-to-prepare recipes. Although not strictly speaking a low-carb book, Gary Taubes simplifies the message from his earlier bestseller, Good Calories, Bad Calories and takes a well researched dig at nutritional science as it is commonly accepted today. He also covers the role of genetics and exercise in our weight, what foods to eat and importantly, those to avoid. 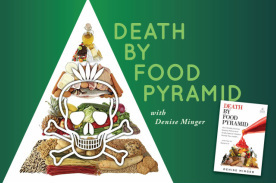 In Death by Food Pyramid, Denise Minger exposes the forces that overrode common sense and solid science to launch a pyramid phenomenon that bled far beyond US borders to taint the eating habits of the entire developed world. She explores how generations of flawed pyramids and plates endure as part of the national consciousness, and how the “one size fits all” diet mentality these icons convey pushes us deeper into the throes of obesity and disease. Deservedly, one of the Economist's books of the year for 2014, written by the journalist Nina Teicholz. The book covers the history and the politics involved in how we got where we are today - all will become revealed in this critical and highly interesting read. Ms Teicholz has recently been pilloried by the US Nutrition community for her negative stance (albeit scientifically based) on the US Dietary Guidelines which came out again in 2016. 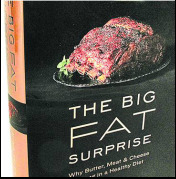 Noakes, Creed and Proudfoot prescribe a low-carbohydrate, high-fat (LCHF) diet that is, they acknowledge, far from new. They credit the eating habits of early humans, the hunter-gatherers who ate wild animals for fat and protein but consumed few grains – a proposition familiar to anyone well-versed in the Paleo diet. But while Paleo is low on carbs, the Revolution goes even lower, and includes dairy in its eat-your-fill list – a no-no for Paleoites. What’s key, Creed writes, is that we need to “relearn what 'full’ feels like”. Proteins and fats “are rich in nutrients. They make you feel full when you are full”, hence they star in all Revolution’s recipes. By contrast, carbohydrates do not satisfy hunger, and they “illicit an insulin response […] a fat-storing hormone”. The more insulin resistant you are, the harder it is for you to process carbohydrates and, “The more you must restrict your carb intake,” Creed says. “Low-carb, high-fat should actually be interpreted as incredibly-low-carb and don’t-worry-about-fat,” says Proudfoot. He suggests we shouldn’t feel guilty about eating tzatziki made with full-fat Greek yogurt, because it is the fat that will make us feel sated, so we don’t need to keep eating – ultimately aiding weight loss. His hot chocolate fat shake, made with coconut cream, butter and full-fat milk “is the most natural form of appetite suppressant you can get”. According to Revolution’s authors, once you have adopted their eating plan, “your cravings disappear”. For an easier read that's also well grounded in the science of low-carbohydreates, Jonny Bowden covers subjects such as: brain chemistry, appetite, cravings, carbohydrates and sugar addiction. He also evaluates the many different varaitions on the low-carb theme and shows you how to customise your own diet plan. In the words of one of the reviewers at amazon.com; "The book comments on the pros and cons of all the different plans available and is worth reading to let you make an informed choice about which diet book to spend money on!"